I know that I ought to be kicked for totally neglecting this site of mine. 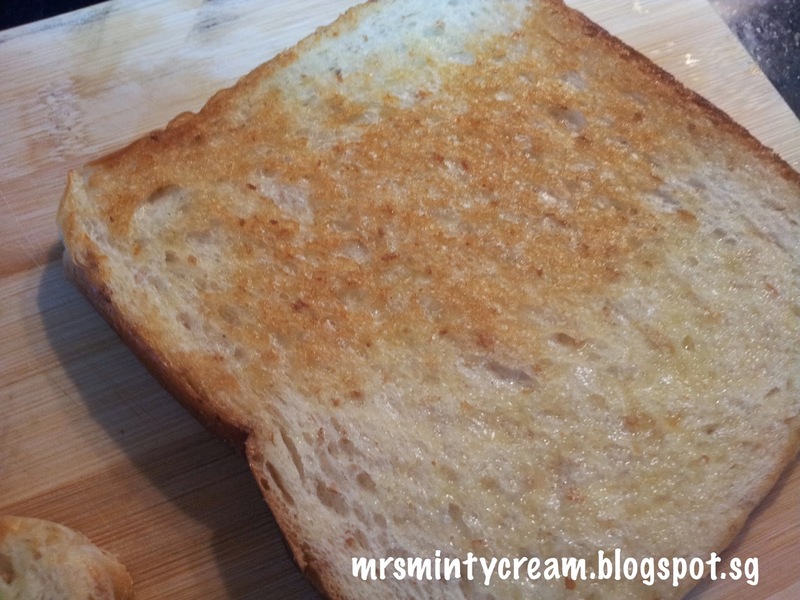 To be totally honest, I have not been doing much baking / cooking for the past 4 months at all. Yes, I am aware of that. As much as I would like to, I just can't seem to find the right time / mood recently (excuses!). I guess I am displaying my talent for procrastination to my best ability, once again. This is really a bad habit that I must kick (soon). Anyway, I met up with Mum last week for a short lunch and as usual, she came with loads of goodies for her am-very-fat-daughter, Your Truly. 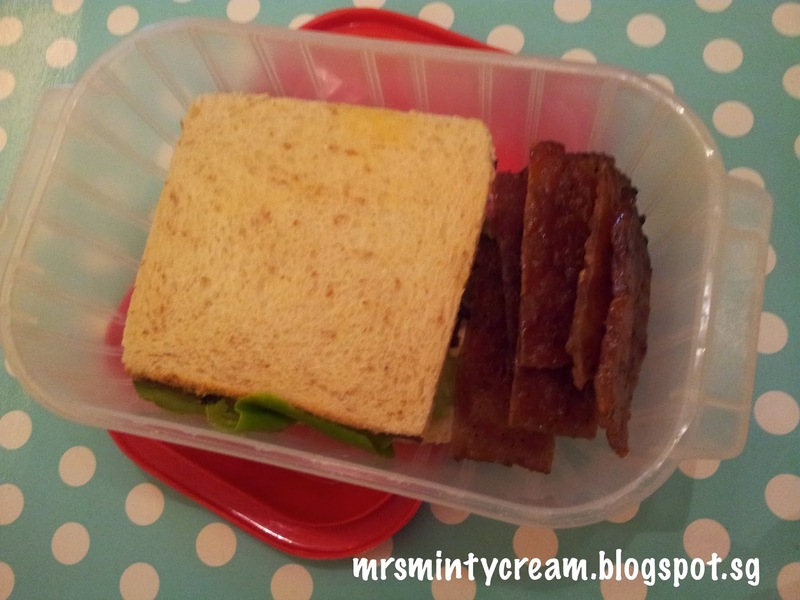 Out of the many goodies, this has got to my hubby's favourite - Bak Kwa! 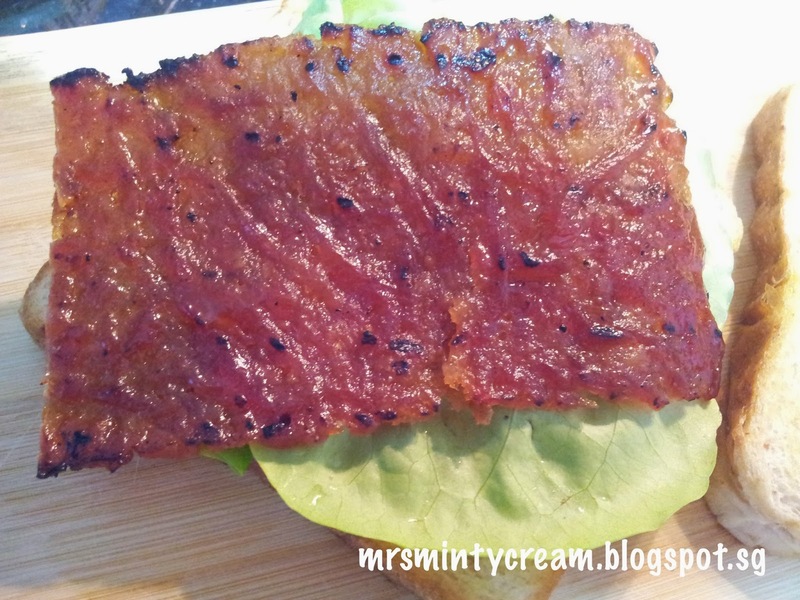 I am not such a great fan for Bak Kwa since it is more like a CNY treat for my family. 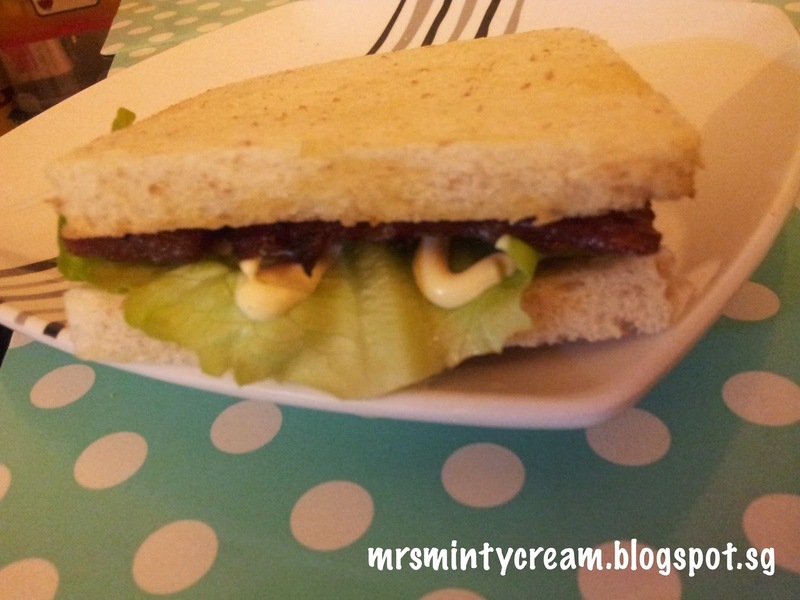 But rather than having Mr. Lim munching on the Bak Kwa plainly (not to mention, after dinner! 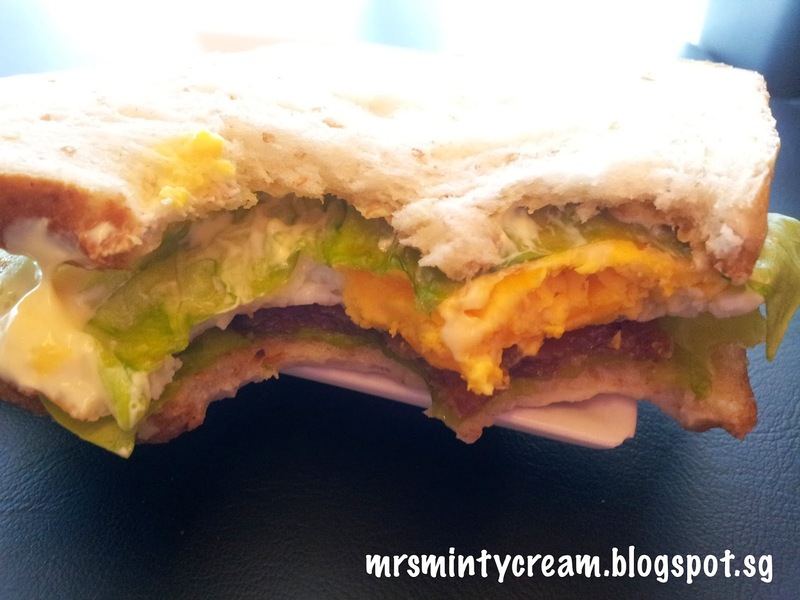 ), I decided to save them for making some breakfast sandwich for the man instead. These are the two versions which I am sharing today. One slightly more elaborated than the other, but both as tasty! This is what Mrs. Lim (That's me!) had for breakfast this morning! Healthy and Yummy! And this is what Mr. Lim brought to work as his breakfast! 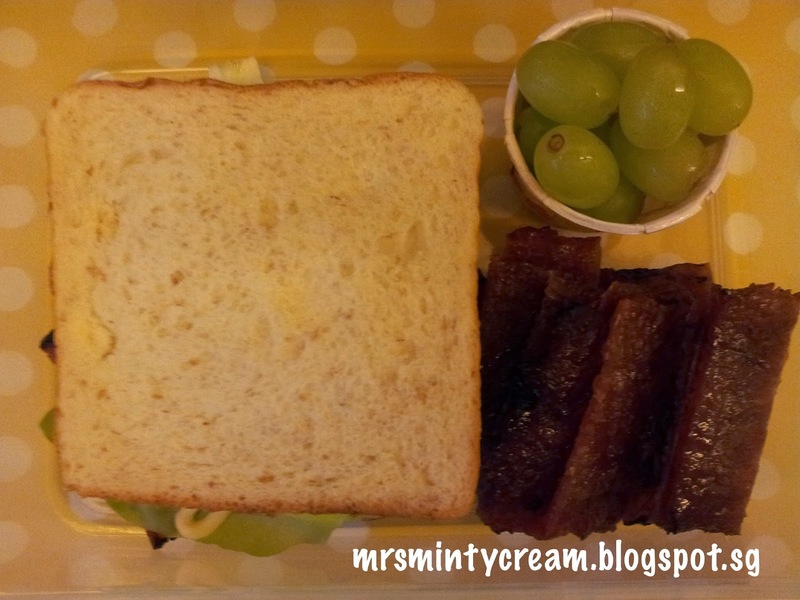 Extra Bak Kwa at the side for his to munch on! I just could not resist and had to take two (not one) HUGE bites! 1. 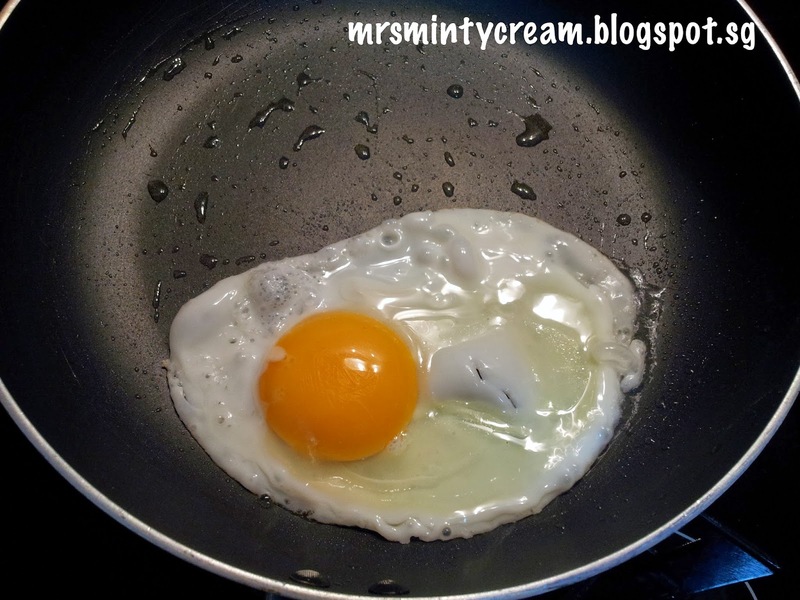 Using a saucepan over medium heat, fry the eggs (sunny side up or over-easy, according to your desired preference). 2. 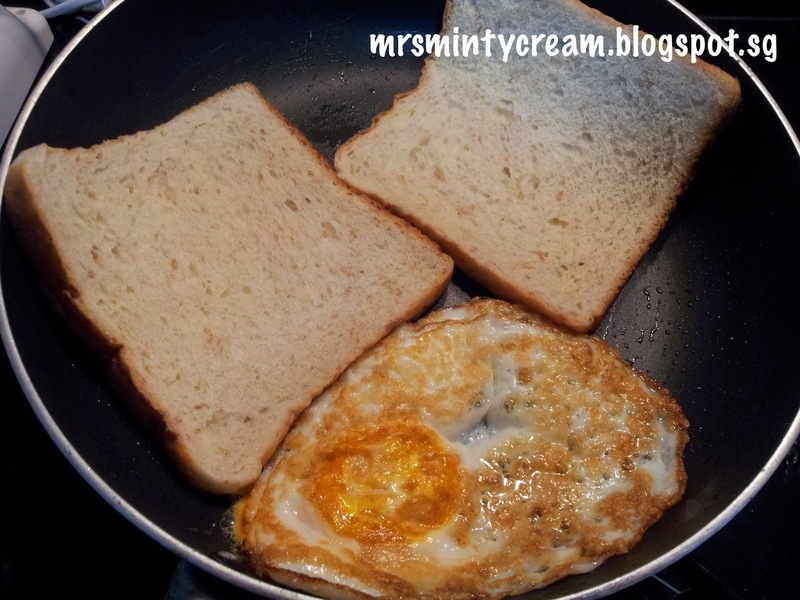 When the egg is almost done, place the slices of lightly-buttered bread on the hot saucepan. 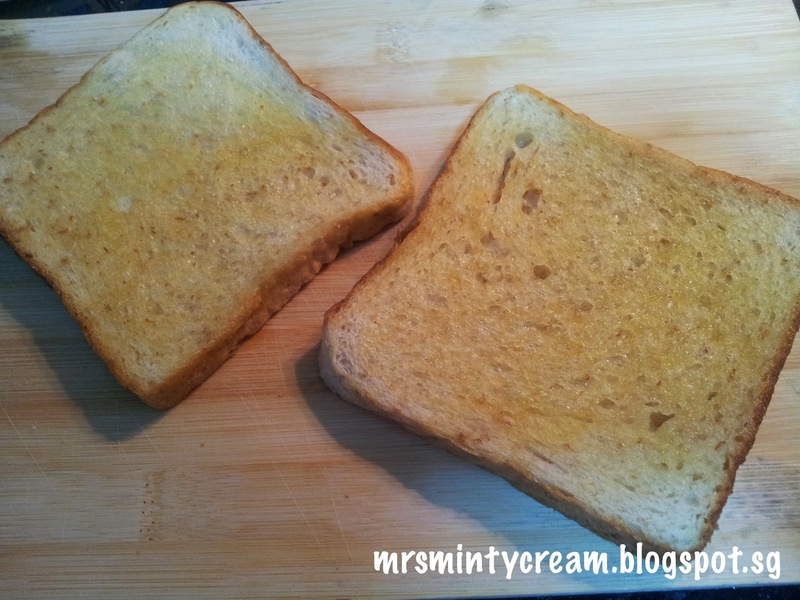 Toast it for 2-3 minutes and you will get a lightly brown crisp bread. 3. 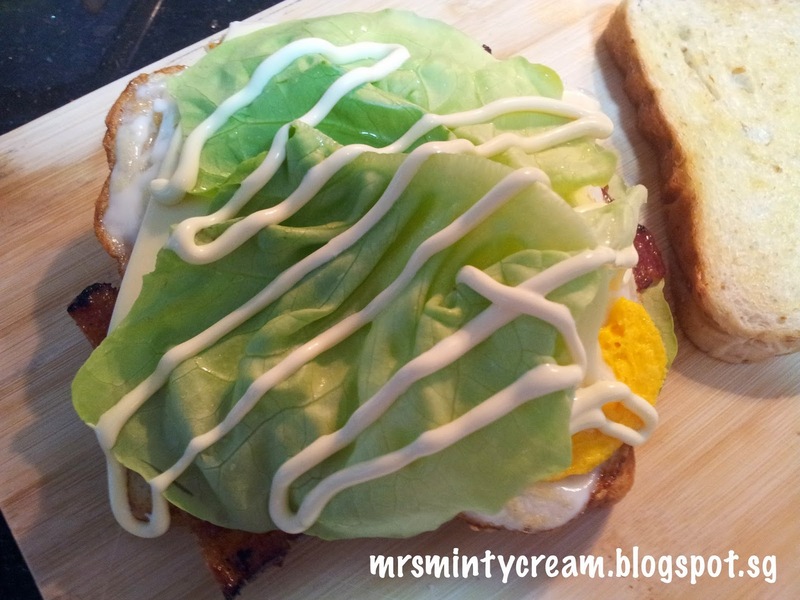 Wash and pat dry the Butterhead Lettuce. 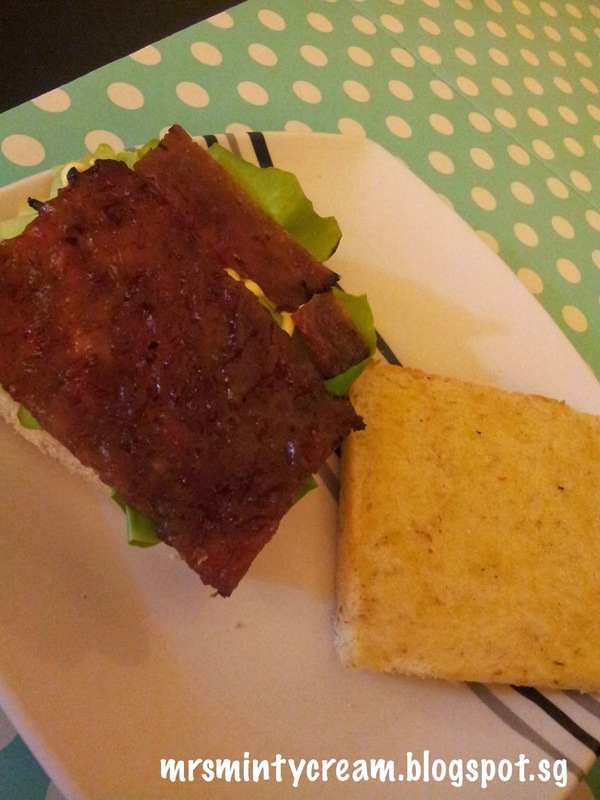 Place the lettuce on one slice of bread before adding a slice of Bak Kwa on top of the lettuce. 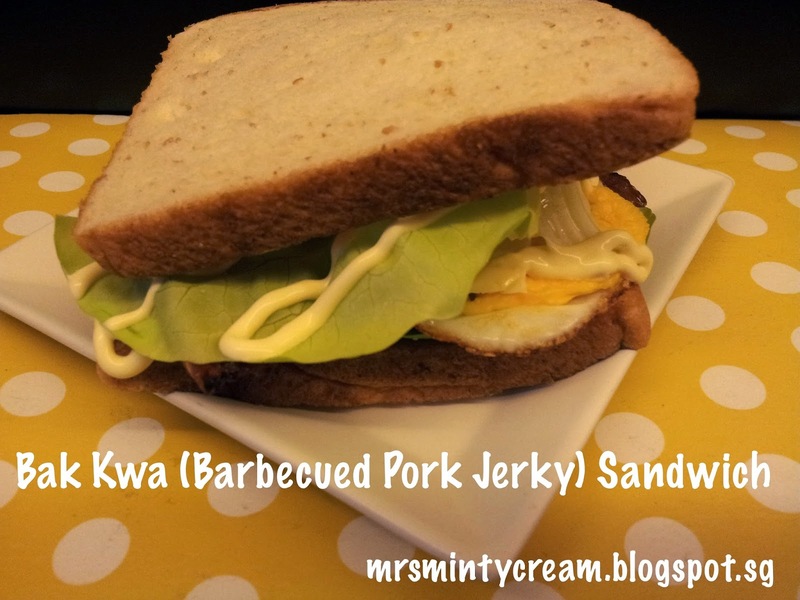 If you would like to, you may heat up the Bak Kwa slightly before assembling the sandwich. 4. 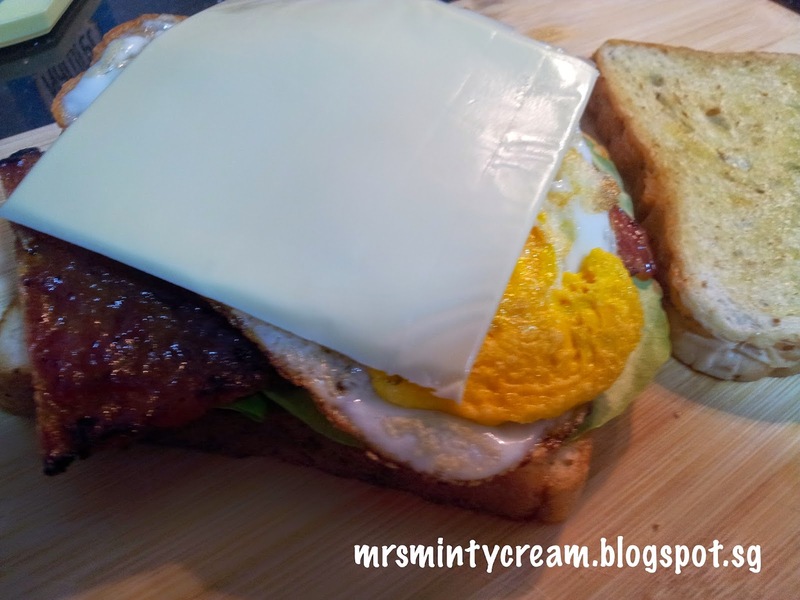 Add the fry egg and a slice of cheddar cheese on top. 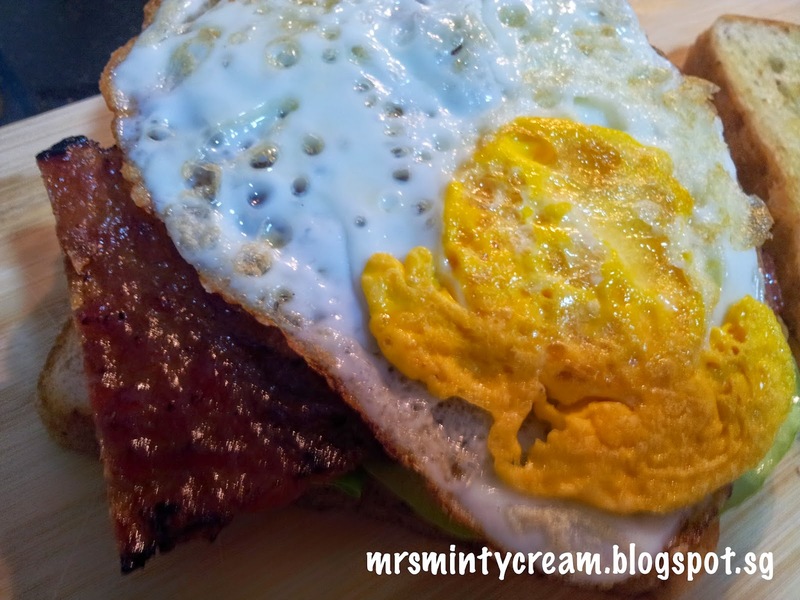 The heat from the egg will ensure the cheese melts a little before serving. 5. 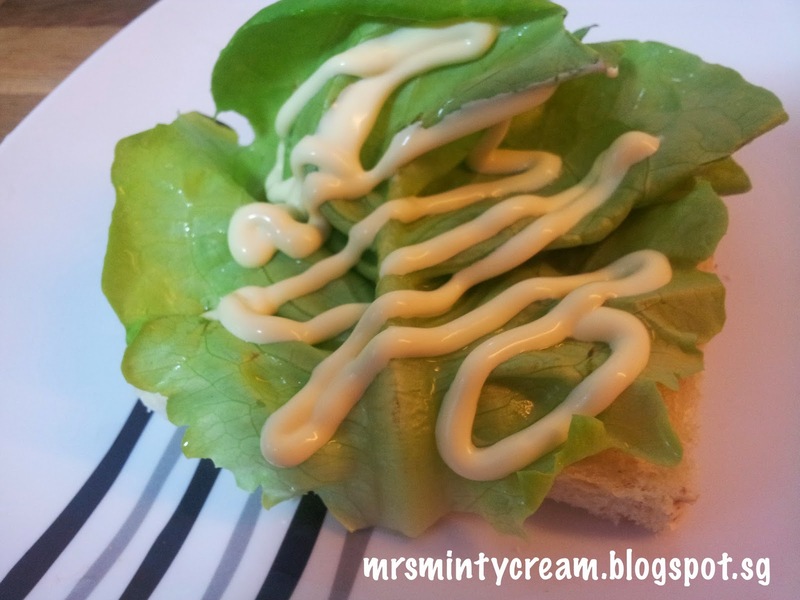 Top with more lettuce, Japanese Mayonnaise and lastly, a slice of bread. And then, you have it! 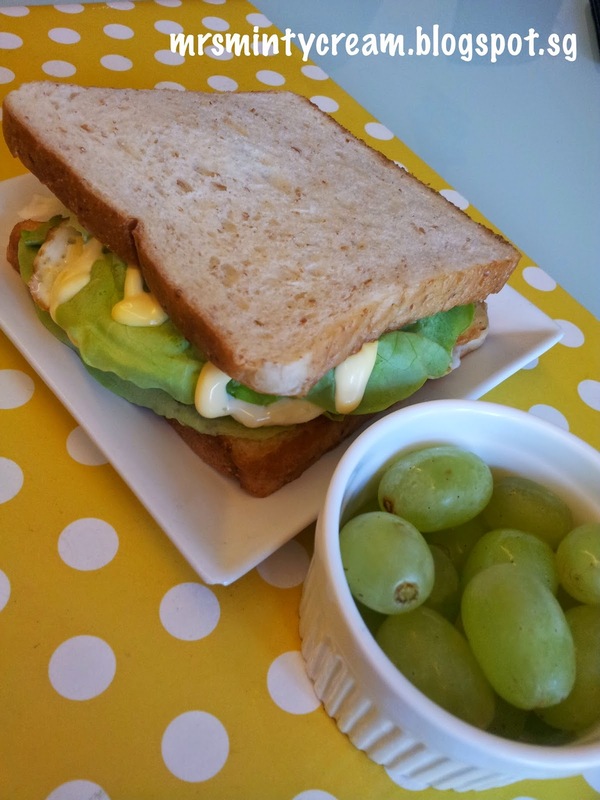 A perfectly simply and yummy sandwich to be packed for breakfast or even a on-the-go lunch! 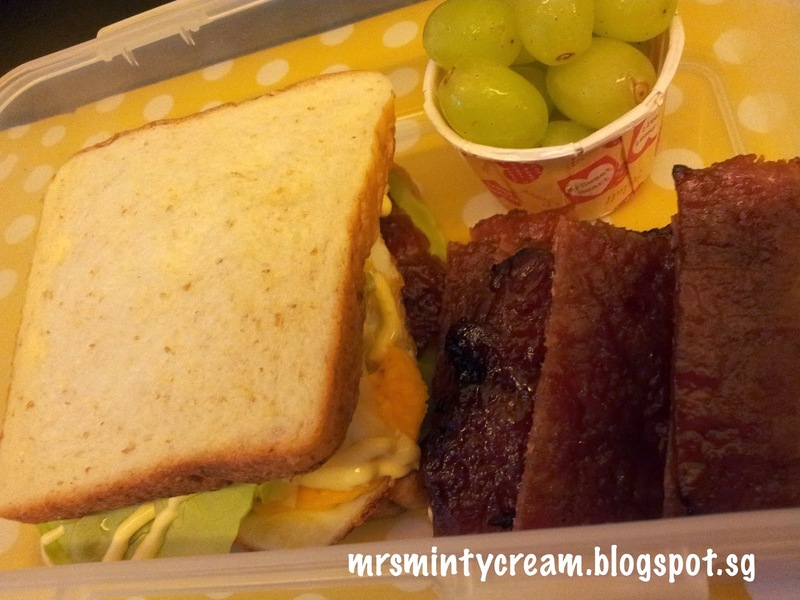 Add in some fruits and MORE Bak Kwa and you have it! 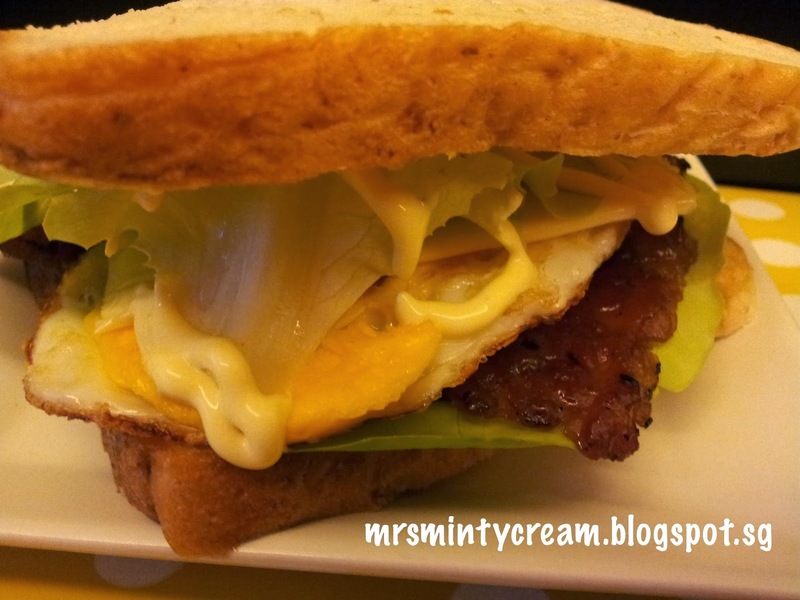 #P/S: For the simplified version, simply omit the use of egg and cheese in Step 4 and you have it! Equally tasty!